Rapidly delivered and operational, the BladeRoom modular data center design is ideal to create any sized data center from small installations to massive colocation data centers delivered over a number of phases. 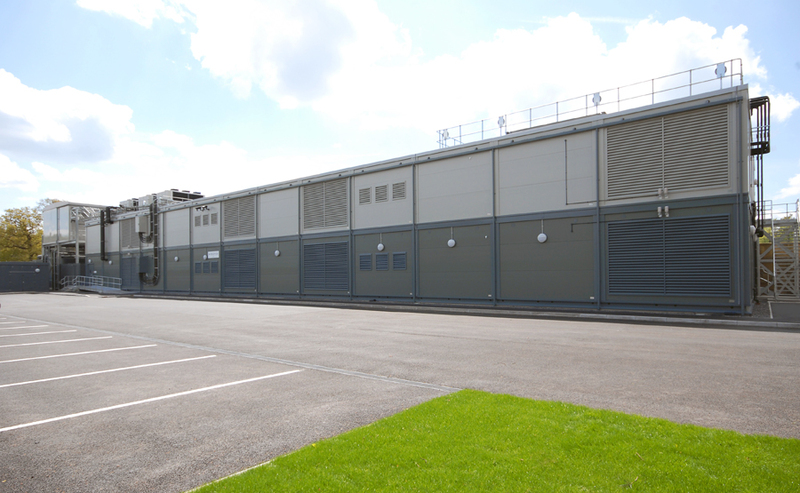 The data center design benefits from a highly efficient data center cooling system, offering the lowest true capital cost and the lowest possible operational costs. 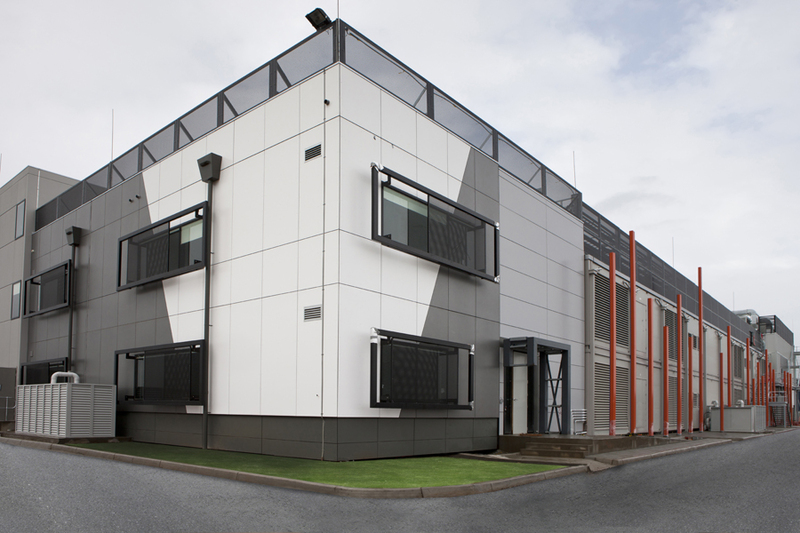 The BladeRoom Data Center design allows infinitely scalable data centers. That means you can increase capacity rapidly in line with your business growth, and deploy new data centers or expand existing sites in record time for the best return on capital employed. The data center cooling systems, both primary and back-up, use ambient air and evaporative cooling as required (up to 100% of the time depending on the climate). This maximizes efficiency with full capacity N+1 back-up mechanical DX cooling to ensure the data center design is compliant with the Uptime Institute Tier 3 requirements. Tier 4 data center resilience can be achieved by doubling up the primary and back-up cooling systems. The BladeRoom Data Center design has all the benefits of a containerized data center, being scalable and transportable anywhere in the world, but without compromising on the space and feel of a traditional design. 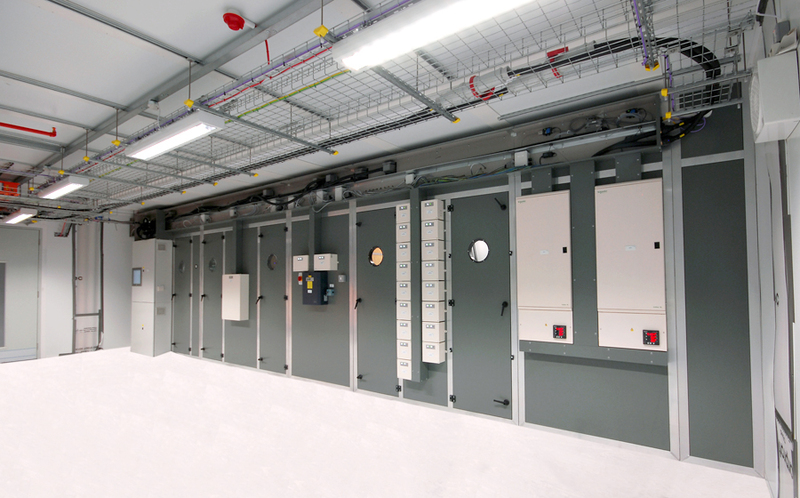 Unlike a containerized data center design, the BladeRoom system is designed to fully meet building regulations. It has a 60-year design life structure capable of external multistory developments, without the need for additional strengthening. The data center design is in accordance with the most demanding international standards - and complies with BS, ISO and IEC among other standards. Data center production takes place within the BladeRoom assembly facility, a large, modern spotlessly clean environment where best practices are employed to ensure a safe, efficient and timely assembly process. Visits to the BladeRoom assembly facility are encouraged, and you are invited to view the manufacturing of your modular data center facilities as they are assembled. You will be able to check the quality throughout the process and take comfort that your project timescales are going to be met. If you are not able to visit during production, all is not lost; we will send you weekly step-by-step photo updates of your data center being built. With BladeRoom Data Centers being delivered around the world, we are committed to being open with our clients to provide complete peace of mind. Clients can log into cameras within the BladeRoom factory and view the assembly of their data centers live over IP. BladeRoom Data Centers in North America are manufactured and installed by TMI Climate Solutions, a wholly owned subsidiary of MiTek and part of the Berkshire Hathaway Group. BladeRoom system and methodology protected by international patents, patents pending and registered design rights.